The last operational mark of this tank. 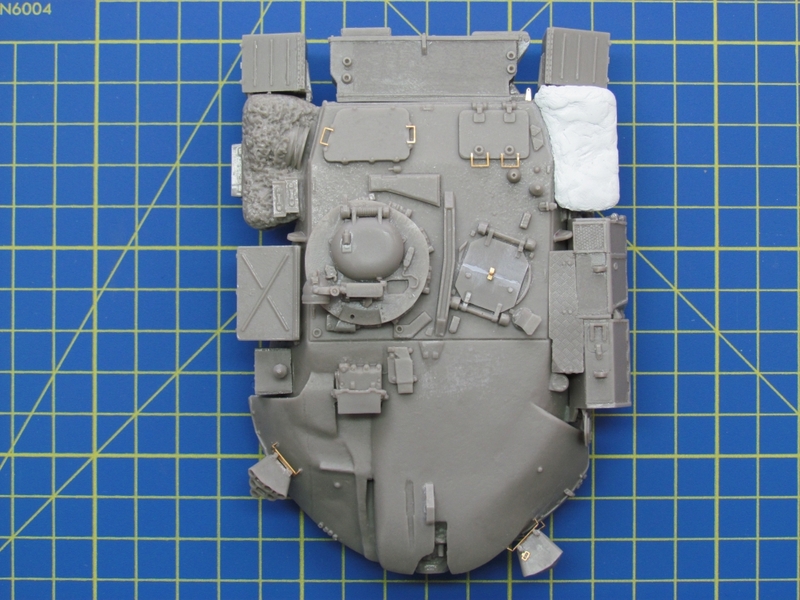 Fitted with Thermal Observation and Gunnery System (TOGS) and including the “Stillbrew” additional armour from the previous mark. 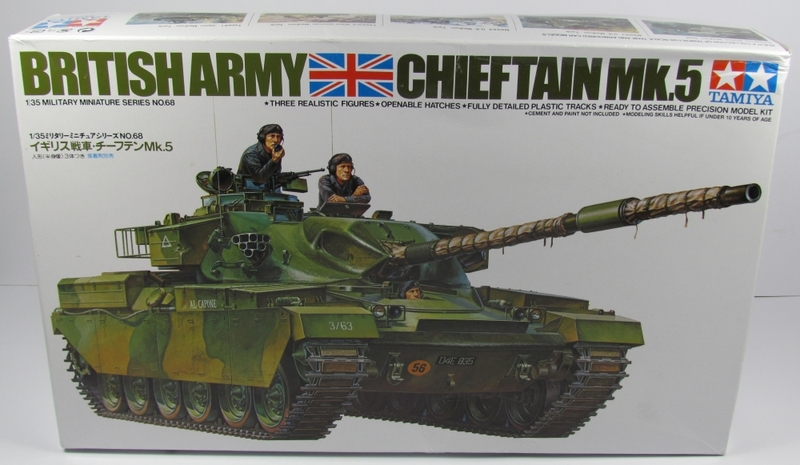 Incidentally, having seen the Chieftain AVRE driving around at Duxford I can say that this is the noisiest tank I know! 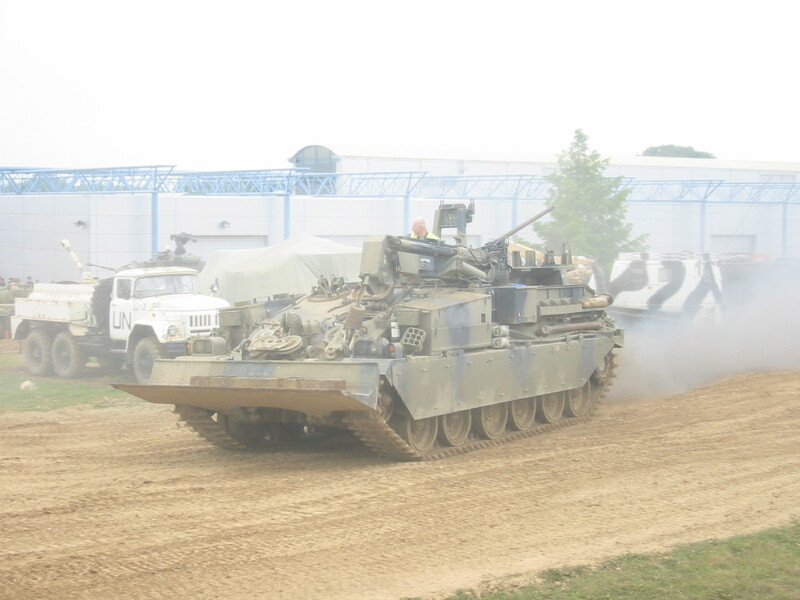 However, I don’t think that we have produced a better looking tank before or since. 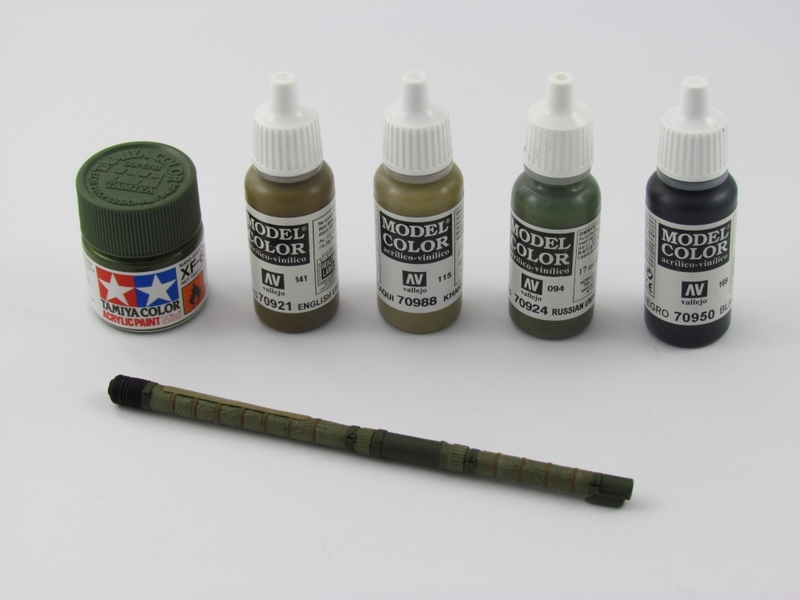 The Accurate Armour resin conversion set plus parts of the Tamiya 1/35 kit. 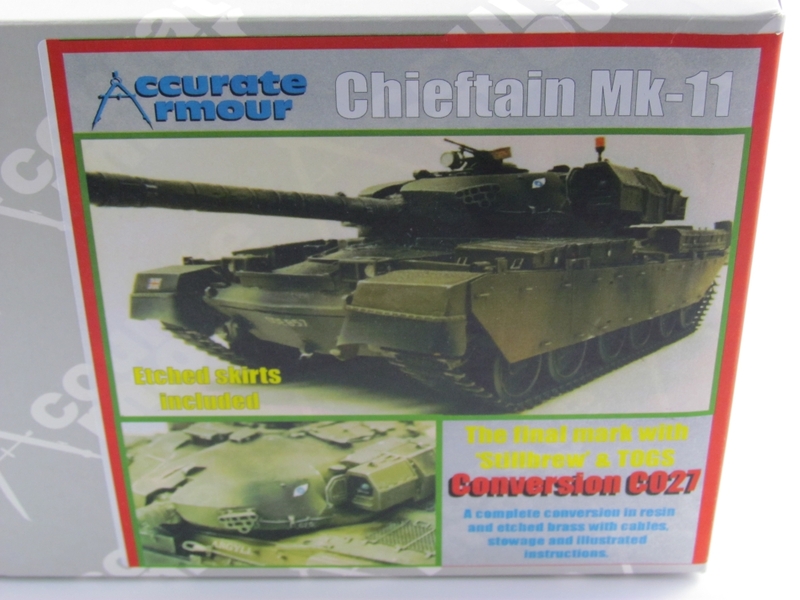 No one seems to have a good word for the Tamiya kit, being old and inaccurate – it would be timely to have a new plastic kit from somebody! 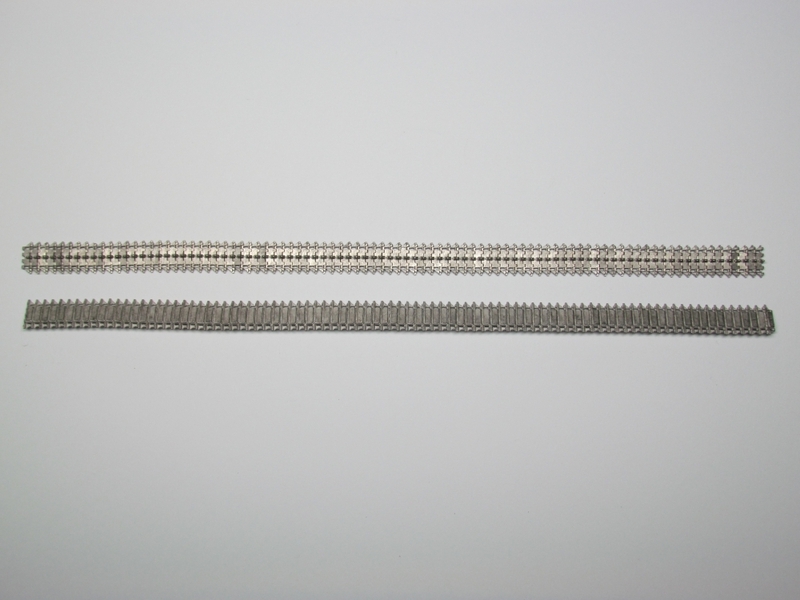 The tracks are Friulmodel. 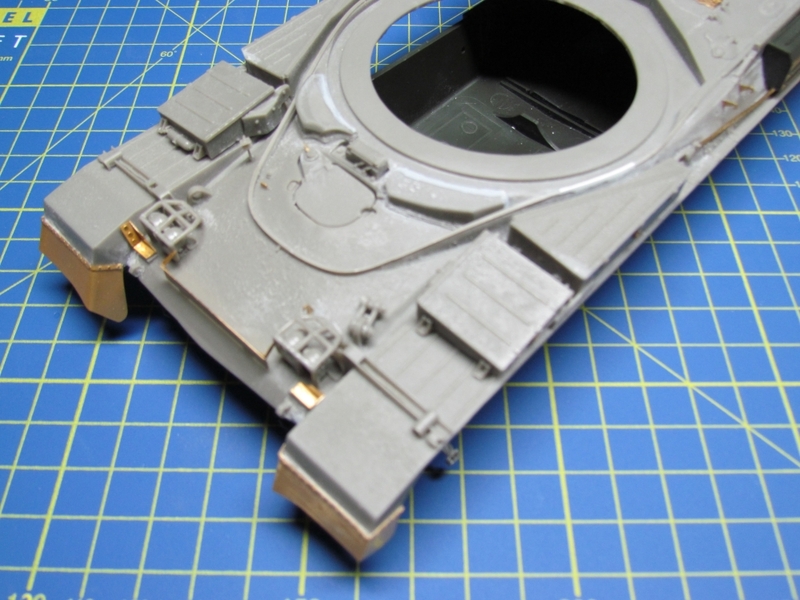 Unusually for me I opted to tackle the turret and gun first. 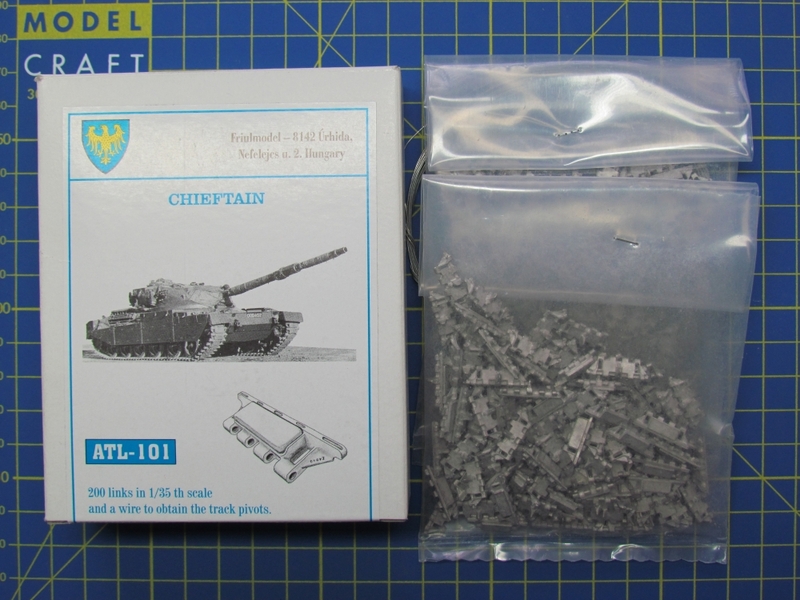 This proceeded fine, although I have been spoilt by the metal barrels of other kits – I much prefer them to the multi-part one here. 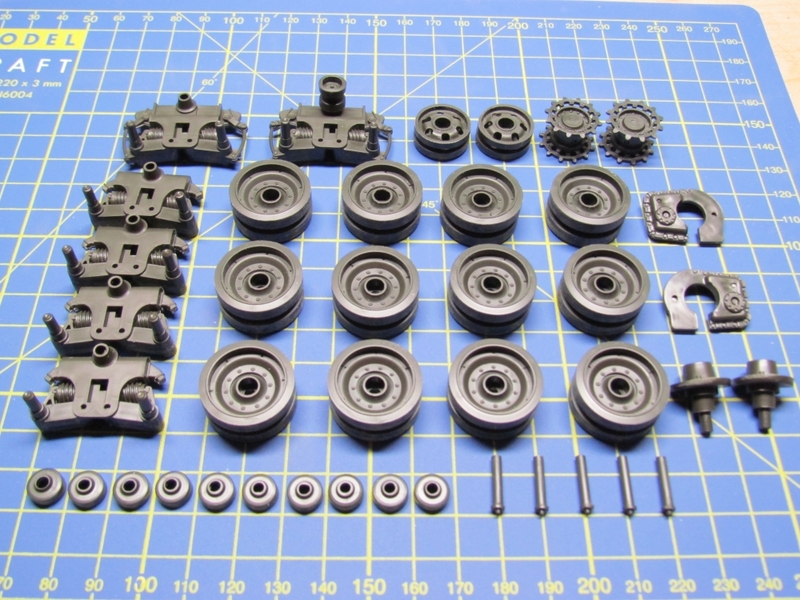 Next, I assembled the wheels and suspension of the Tamiya kit. 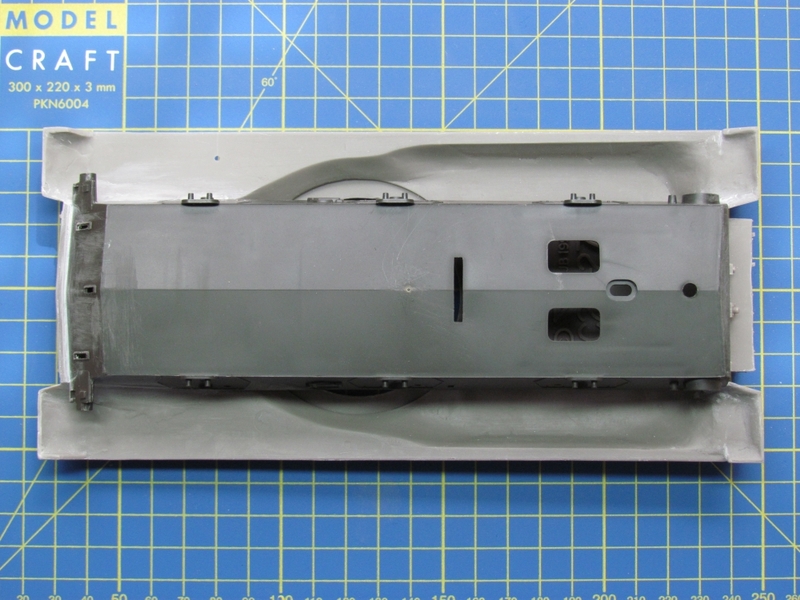 Then, what I considered to be the critical point of assembly – joining the Tamiya hull to the resin hull top. I don’t really believe it but the hull top felt like it was about 1mm too long to fit comfortably with the hull. 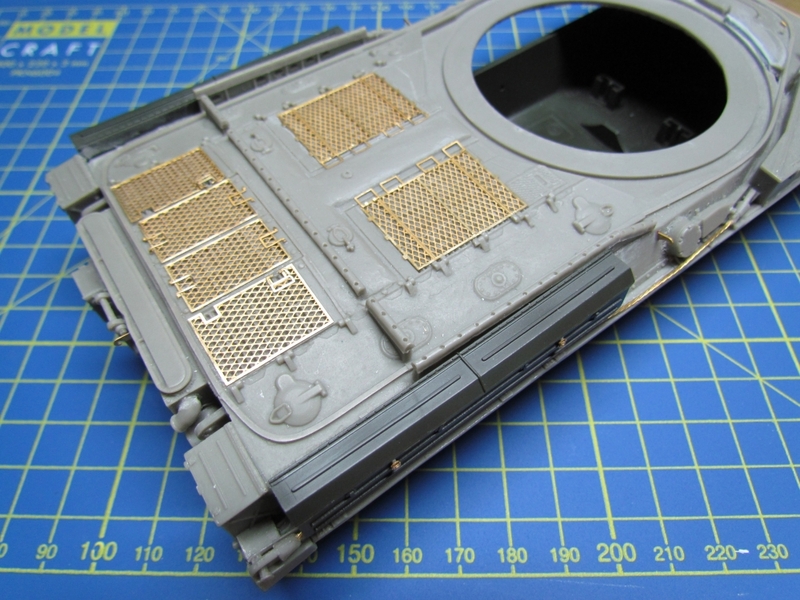 There was a degree of warping – not unknown for a resin part – but even with that being partially fixed with a hair dryer there was still more of a gap on the glacis plate than seems realistic. Milliput was needed in several places here. Oh well, I think that it will not be too noticeable. 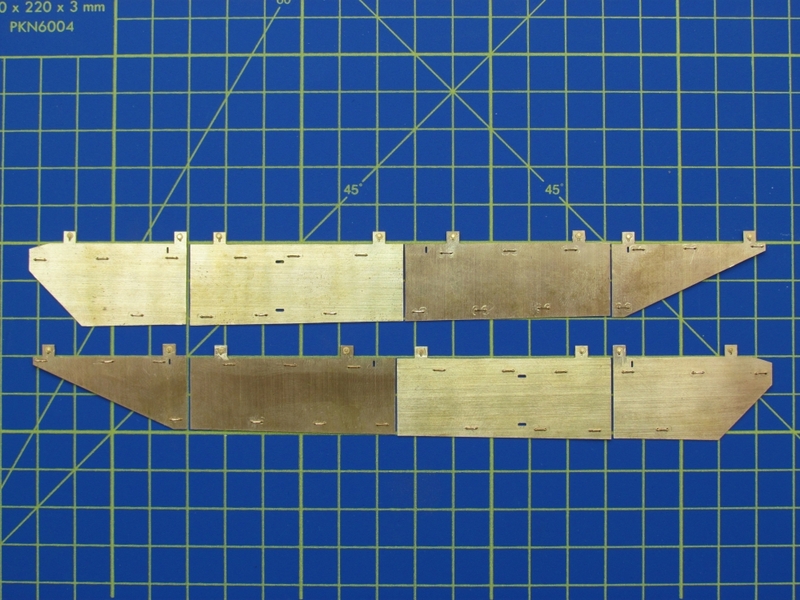 Next was added the remaining resin pieces and photo etch to the hull and assembly of the skirt plates. 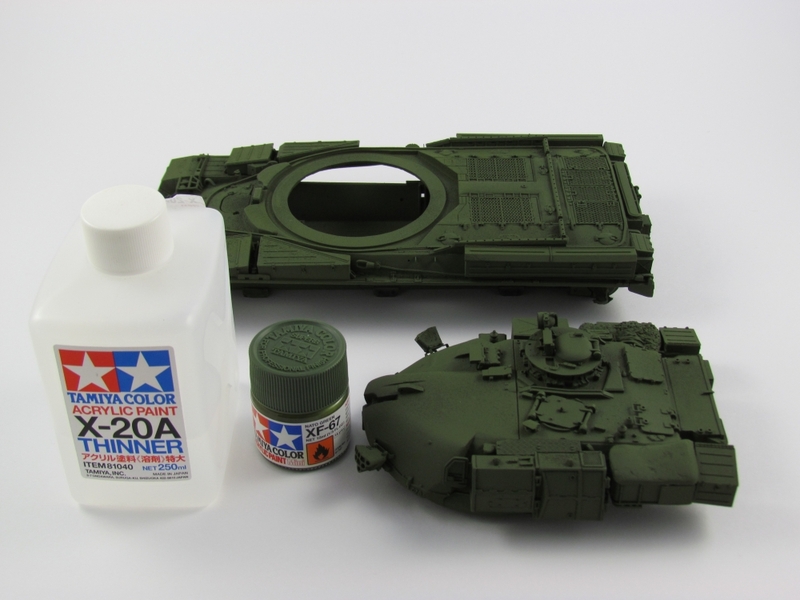 Primer first – for some reason the Vallejo one didn’t adhere well to the metal parts even after washing. 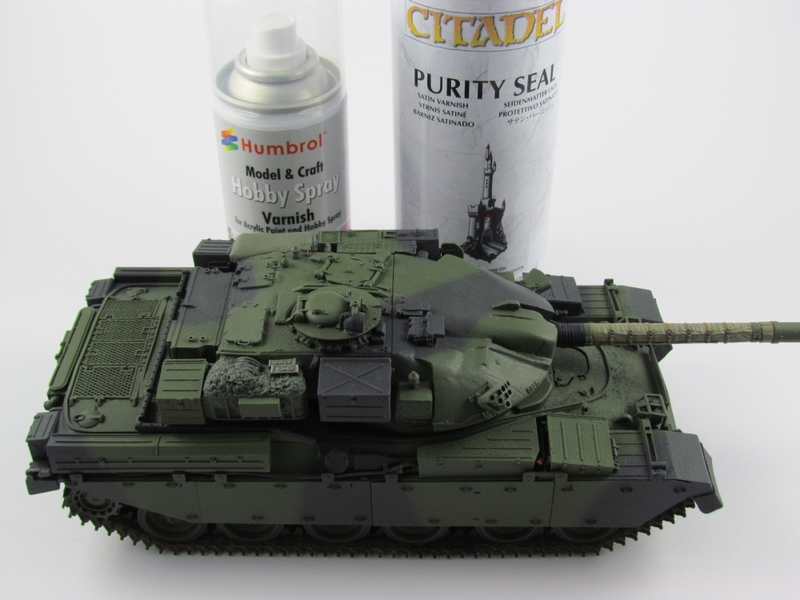 So the Humbrol spray can was a fall back. 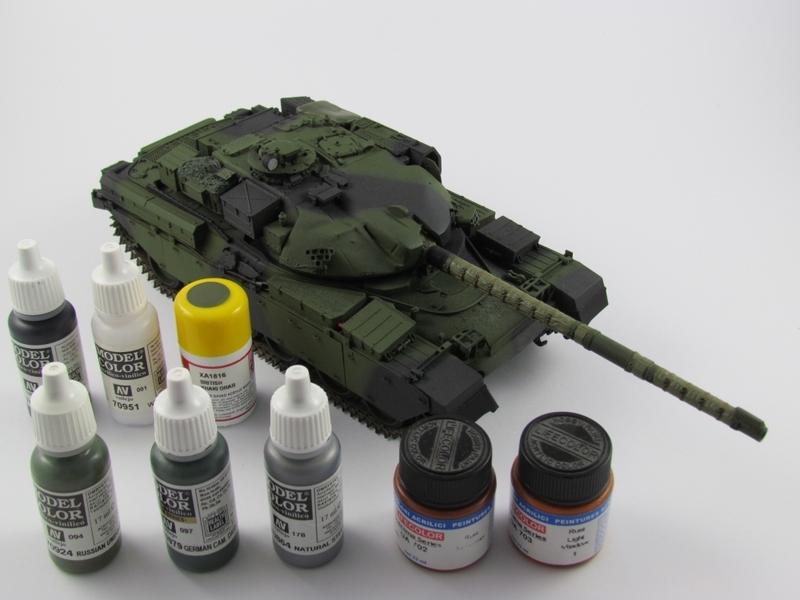 The base colour was Tamiya NATO green (XF-67). The tracks were immersed in Blacken-It for about seven minutes. Following this the pads were painted black and sealed with satin varnish. 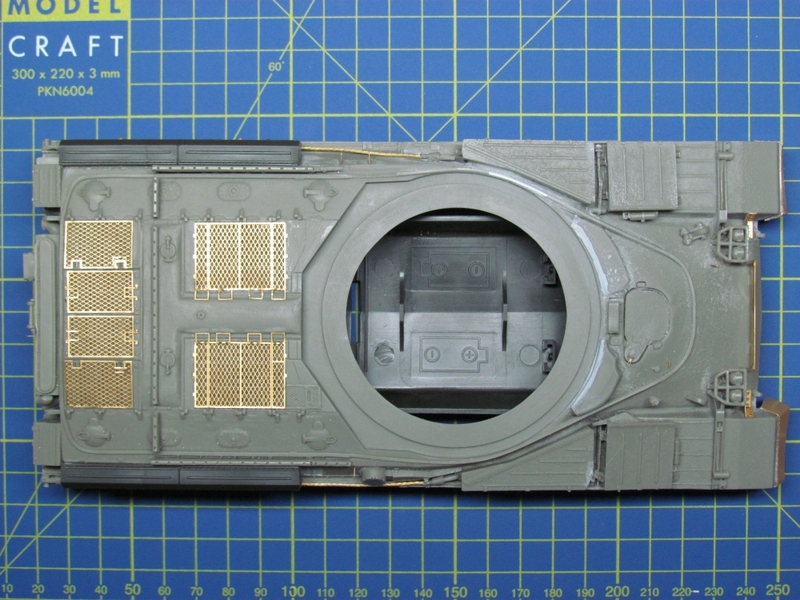 The tracks and skirts were added next, as they needed to be in place for the camouflage pattern. 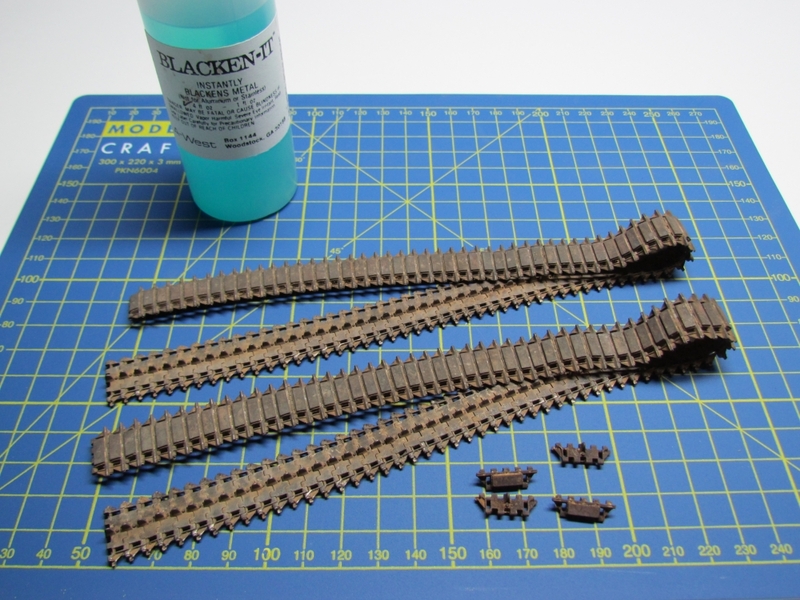 This was achieved with Tamiya NATO black (XF-69). 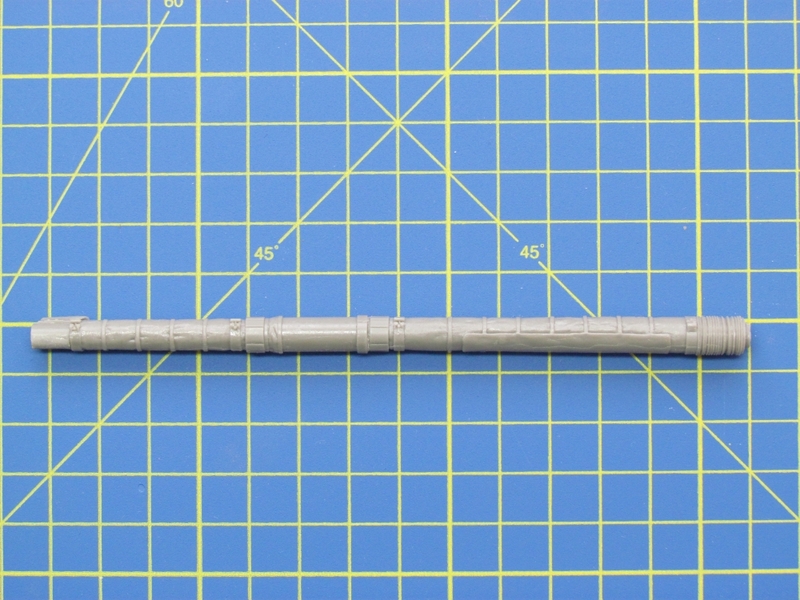 I was not quite sure of the colours for the thermal sleeve on the gun barrel – I could not seem to find the perfect picture of it in any resource I had at my disposal. So, a degree of guesswork was involved. Next all detail painting was done. Gloss varnish was then sprayed on in preparation for the decals. 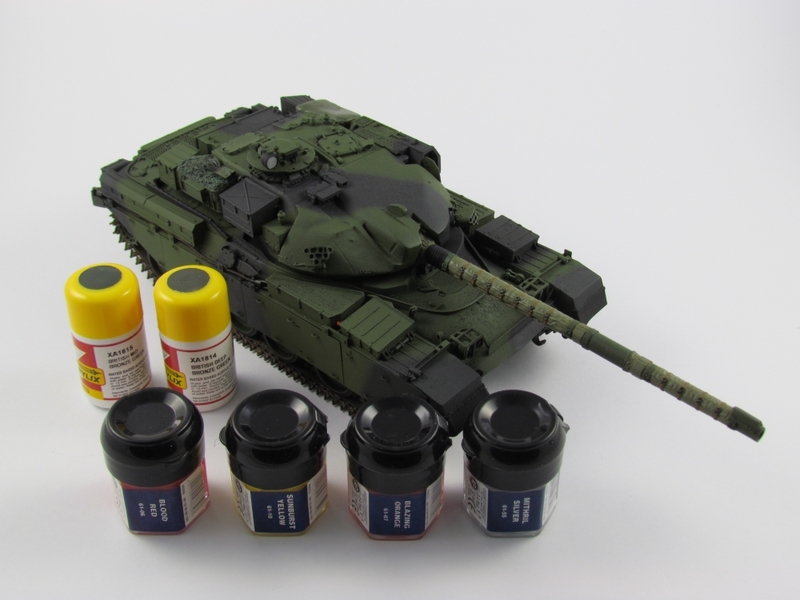 Due to the absence of decals in the Mk 11 conversion set, I used this tank as starting point of reference. 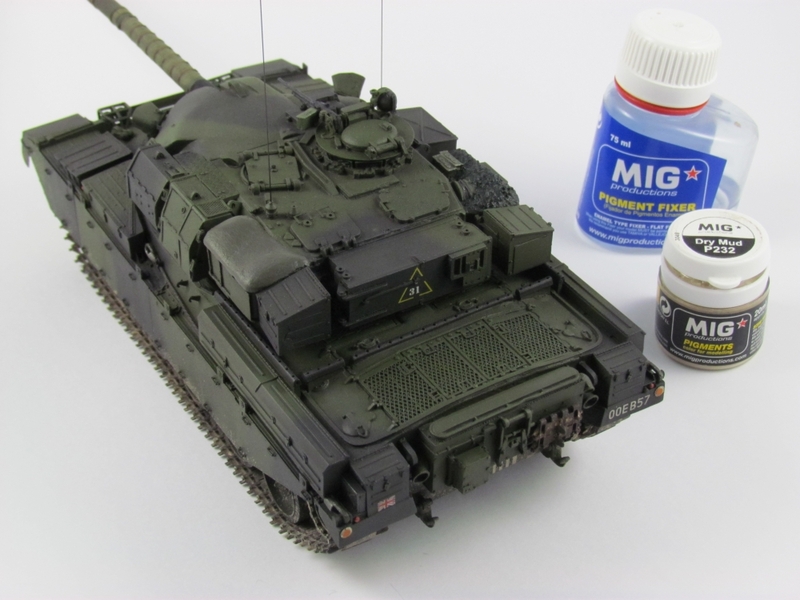 In the end I used decals from the Tamiya kit, Accurate Armour British tactical markings and Archer Transfers stencil style numbers. Yes, there were compromises made – doubtless the number plate is for an actual earlier mark and the unit numbers (maybe) should be in yellow. The whole lot was sealed with gloss varnish and then satin varnish. I wanted to show this vehicle in decent condition – as if it were quite new. 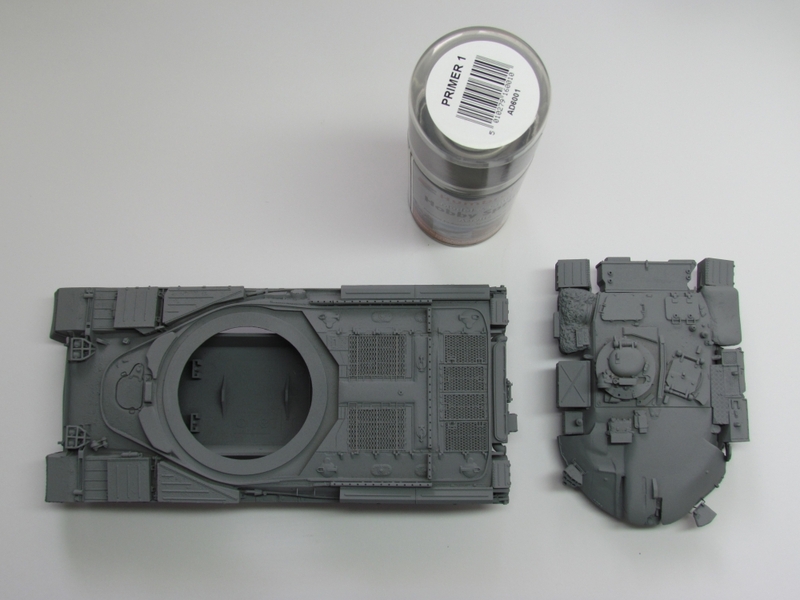 Accordingly, I did not add any paint chipping, except to the tow cables and first aid box. 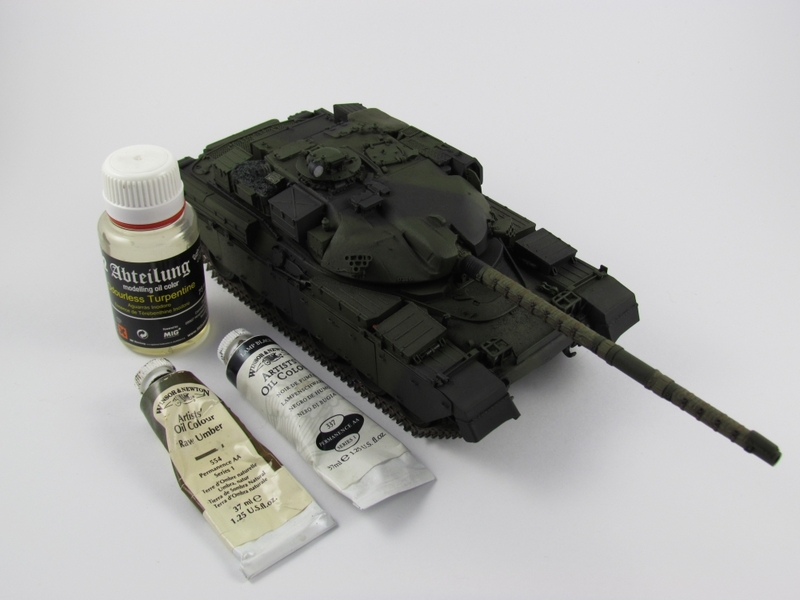 A wash of lamp black and raw umber oil paints in turpentine was applied twice to the whole model. 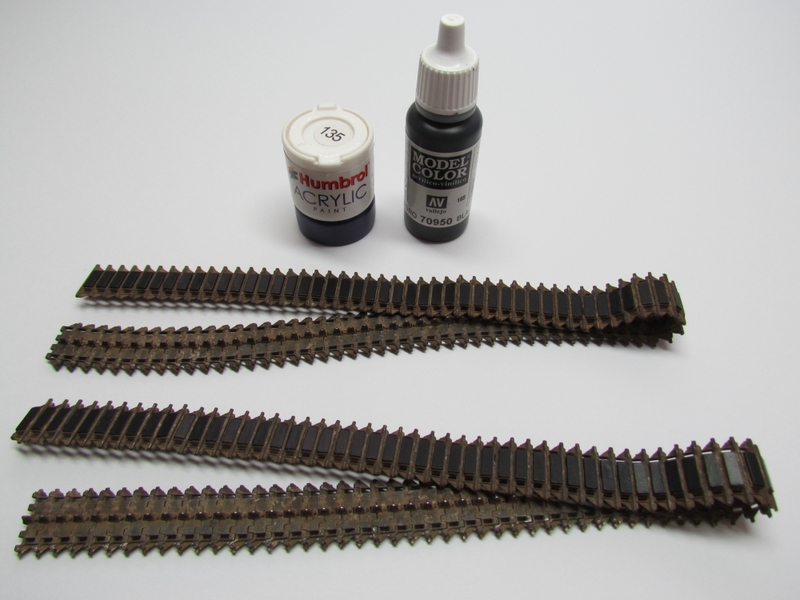 To simulate dirt and mud patches, pigment was added to the track, wheels and lower hull by flicking the solution from a paint brush. The addition of aerials completed the build. 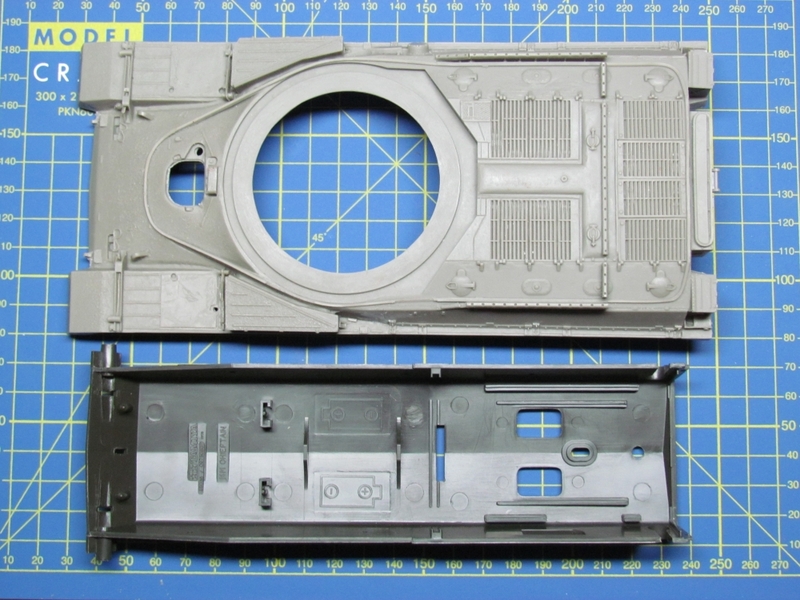 This has been my longest build to date, involving more photo etch parts and paint testing than any previous kit. Overall I think that it has come out alright. 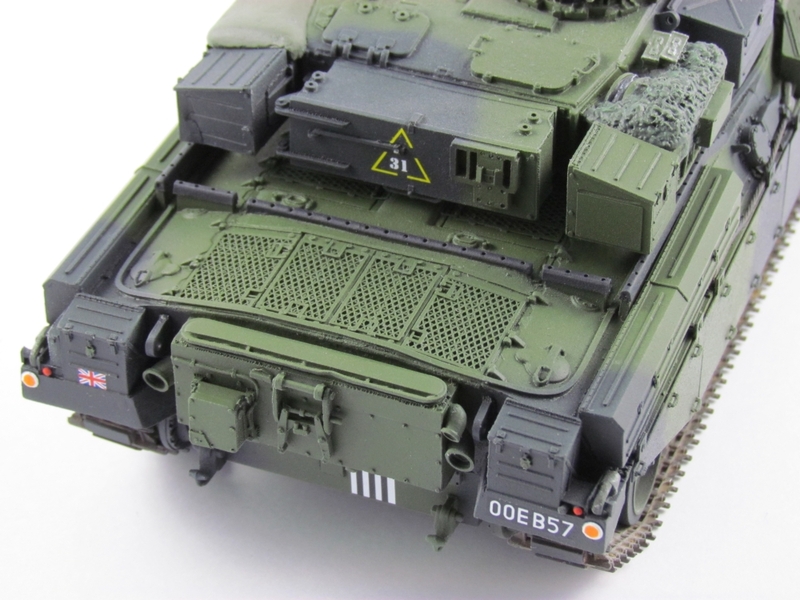 The only thing that I would change on my part is trying to source better – more accurate – decals or markings. 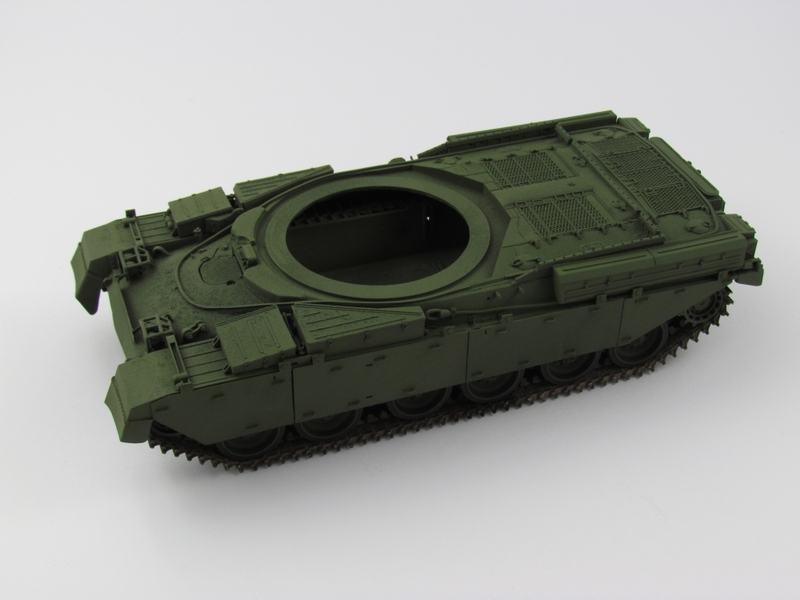 On the part of the kit the one thing I would change would be the pre-moulded turret bins – perhaps they should be empty to allow more realistic looking stowage. Apart from the noise problem, didn’t the Chietain have an issue over the clouds of smoke it emitted? 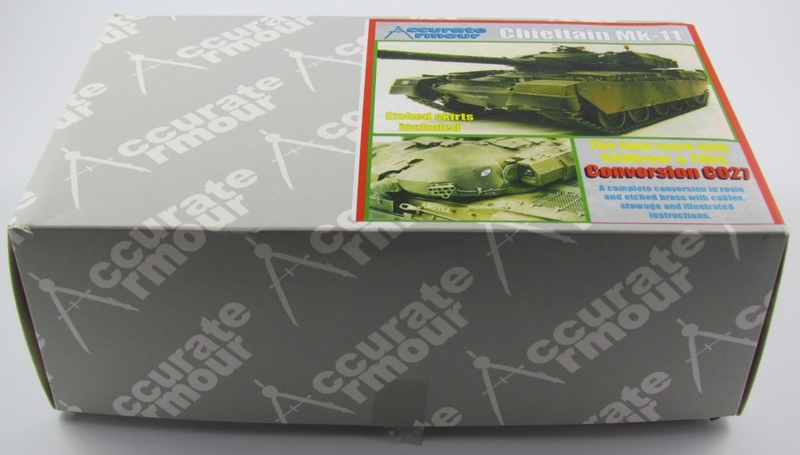 As for looks, maybe the Chieftain was our best-looking tank, but does it compare with the Soviet IS-3? That’s one mean-looking, efficient-looking beast. It as an assault on the senses for sure! Thanks for sharing the tips. This article is great. you should try working on them! Great vehicle,lots of nostalgia but a b**** to operate. Noisy,dirty,hot and heavy! I loved it! Ah, good to know! Thanks for that. 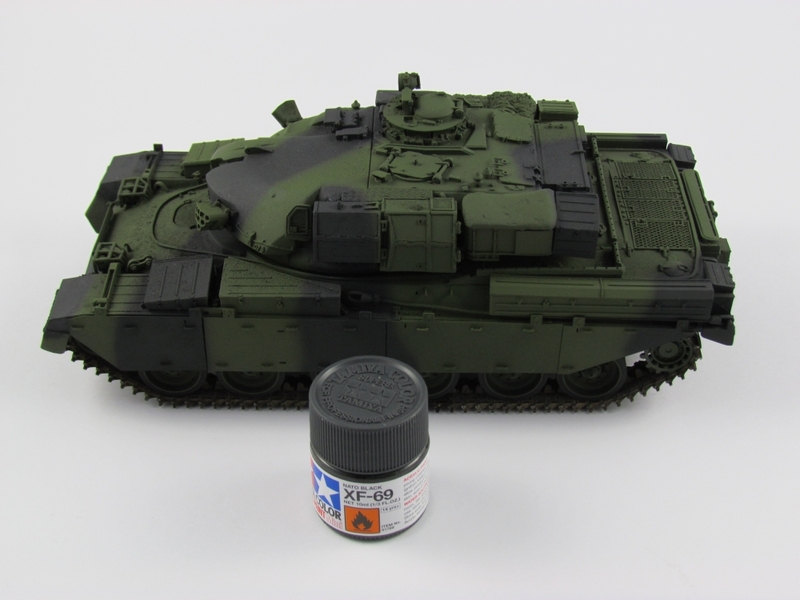 Being a former REME Recovery Mechanic with 3RTR, I have just bought two Tamiya Chieftain MK5s from Tamiya plus the Accurate Armour MBT & ARV conversion kits. I found your step by step account of the MK11 build very helpful and you make an interesting point about the turret stowage bins. I think I’ll be referring back to your project as my own builds progress. Thank you. Hello. Thanks for your comments and good luck! It must be great to work on a model when you know the real thing so well. By all means keep me updated, as I would be very interested to see your progress.